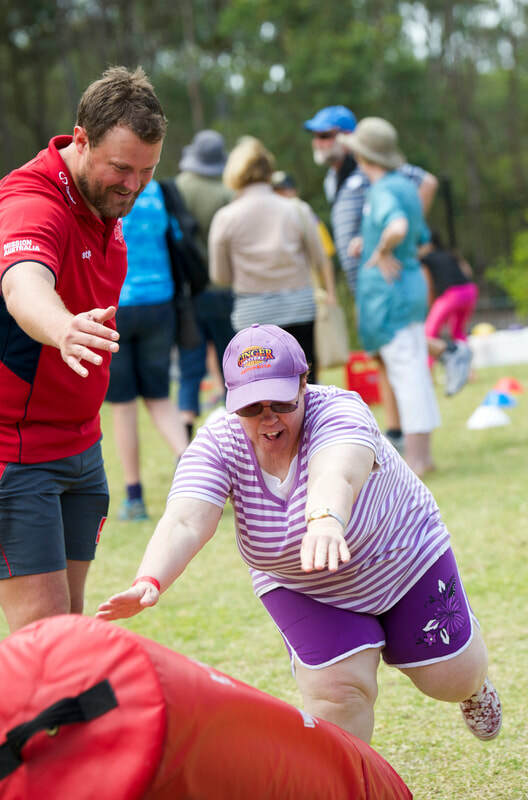 ​Life Stream Australia’s Group Leisure and Holiday Program provides opportunities for people with intellectual disabilities to participate in community based recreational activities, in a safe and supported environment. Our range of programs are not only fun, but are designed to develop skills, enhance self-esteem, build confidence and provide opportunities to make new friendships. The Group Leisure Program is for Participants aged 16 years and over. Programs predominantly run on weekends. These programs are designed for people with low support needs, however people with higher support needs are in most cases able to attend with their own self-provided 1:1 carer. A wide range of activities are offered and distributed via a quarterly Newsletter. Participants review the programs on offer, then select the programs that are of interest to them. All program coordination is delivered by Life Stream Australia, all Participants need to do is turn up on the day. Programs can be anywhere from 2 hours in length, to a full 8 hour day trip. Transport to/from specific meeting points is provided on many programs, with some locally based programs meeting at venues. Activities offered may include; fitness sessions, Gold Coast theme parks, bushwalking, social sporting activities, Broncos/Lions/Roar home games, beach and BBQ trips to Sunshine/Gold Coast, craft sessions, movie outings, whale watching, social dinners and much more. A new round of programs is offered each quarter. Group Leisure Programs are offered on a user-pays basis with an all-inclusive fee attached to each program, as advertised in the quarterly newsletter. Participants are able to access our programs using their NDIS Funding (there will be a Participant Contribution payment, as identified in the Newsletter). The Group Leisure Program provides opportunities for Participants to try new experiences outside of the home environment, with their friends, all in the safety of a fun and supported environment. 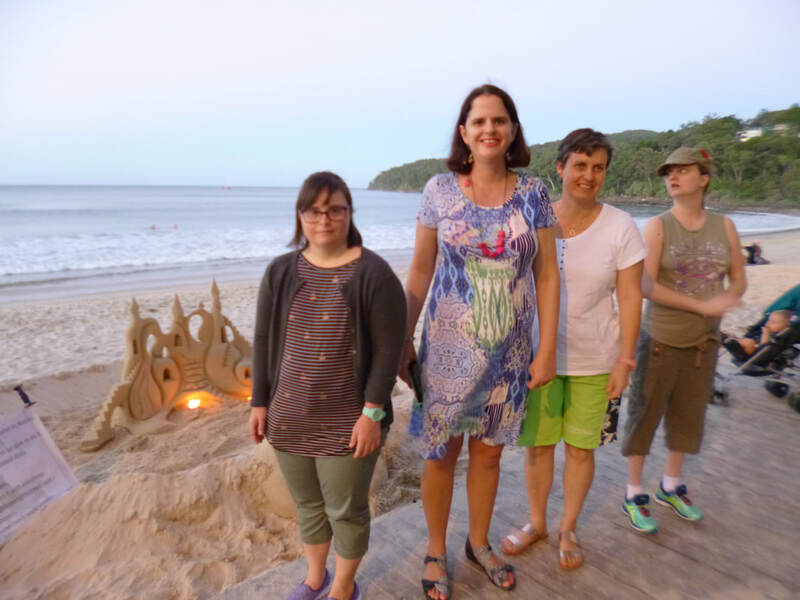 .Everyone needs a holiday from time to time and as a result, demand for Life Stream Australia’s Group Holiday Program is growing each year. Our Group Holiday Program provides Participants with the opportunity to travel both domestically and internationally in an organised, supported environment with their friends. All aspects of coordinating the holiday is carried out by Life Stream Australia. All Participants need to do is pack their bags! The Group Holiday Program is open to Participants 18 years and over (16 yrs+ for Weekends Away). The program is designed for people with low support needs. Provisions can generally be made for people with higher support needs to attend with their own self-provided 1:1 carer. Each year, a selection of domestic and international destinations are offered to Participants via the quarterly Newsletter. The Group Holiday Program has seen our Participants travel just about everywhere, from Safari in South Africa to Great Ocean Road in Melbourne. Holidays are generally around 1 week in length, however a shorter weekend away is offered each quarter as well. Each Group Holiday is offered on a user-pays basis with a fee attached to each holiday. The cost of each holiday is all-inclusive and includes expenses such as flights, accommodation, activities, meals and support. Participants are able to access our Holidays using their NDIS Funding (there will also be a Participant Contribution). ​The best way to find out more about Life Stream Australia’s Group Leisure and Holiday program is to contact our staff for personalised advice about the suitability of the program. Each individual’s needs are specific to them, and even if we are unable to meet your needs within this program, we may be able to facilitate support in other ways. In order to access Life Stream Australia’s Group Leisure and Holiday Program, individuals are first asked to attend a face-to-face meeting to ensure the program is mutually suitable. Once the paperwork is completed, Participants will begin receiving the quarterly Newsletter and be eligible to begin accessing programs. ​Life Stream Australia believes that through participation in community activities, recreation, leisure & sport and having friendships and responsibilities, people develop all types of skills and lead healthy, active and meaningful lives. With your financial donation we can support the essential work ​for people with disability and their families.